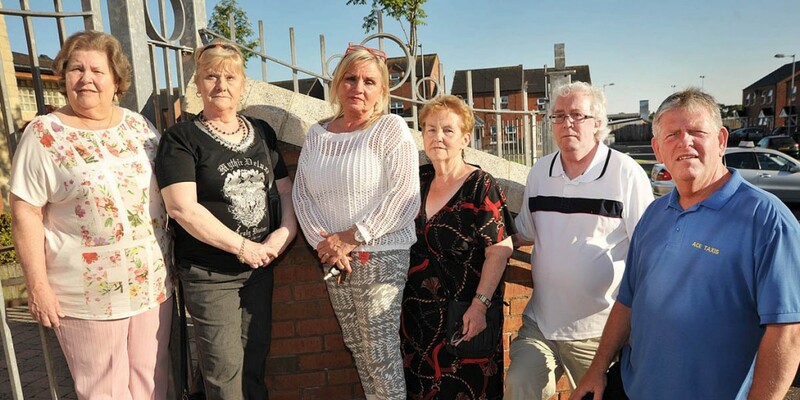 A group of women from West Belfast have described their hellish experience on what was meant to be the holiday of a lifetime. Mount Eagles resident Patricia Murphy said the week-long Island Escape Cruise had been a joint 40th wedding anniversary and birthday present for her and her husband Danny. “Our children had booked the trip through Thomson Holidays around Christmas time and we had never been on a cruise before,” said Patricia. “It was a chance to tour and see some of the most beautiful places in the Mediterranean and we were to stop off in Spain, Rome and France. The group set sail on May 21, and the problems began right away. “For the first twenty minutes I thought I could stick the motion of the ship. But then the boat really started to sway to the point where I thought it couldn’t be normal. I basically sat and slept upright for the next six nights,” she added. “Everybody for those first two days basically were confined to their cabin and then on the third day everyone on the ship started to get sick with something to the point where people were having to go into quarantine. But things got worse. Patricia said that those onboard were left “badly shaken” after a freak wave hit the ship as the ship left a port. “I saw the sea starting to swell and the ship starting to go down a bit, I thought to myself, ‘Oh, sweet God, what is happening?’ I went to run as I could see the water starting to come towards the window. “I thought the water was coming for us and I just started to run but everything came down that boat to meet me, plates, tables, cutlery, food, the fear in everyone’s face was amazing. Everything was going down to the bottom end. There was a fella in a wheelchair sitting just covered in food. Patricia claims they were told what happened was a “freak wave” or “an act of God” but says she couldn’t get off the ship quickly enough. A spokesperson for Island Cruises said: “We can confirm that a small number of passengers sustained minor injuries on the Island Escape during bad weather a few weeks ago. “Any passengers affected were either treated in the medical centre on-board or in hospital ashore. The ship continued operating as planned. “Island Cruises would like to reassure customers that their health and safety is our main priority and that incidents such as this are extremely rare. We are sorry to hear of any illness on our cruise ships. “All possible steps were immediately taken to contain the virus, treat those affected and minimise the disruption to customers on board, the majority of whom remained unaffected. “The ultimate priority for Island Cruises is the health, safety and comfort of all our customers. We operate stringent health and hygiene procedures in line with industry standards,” the spokesperson added.